A 9-year veteran who served in both Iraq and Afghanistan, Brennan was wounded from an explosion while in Afghanistan. His days of fighting the Taliban were over, but not the injuries that threatened to destroy his life back home. It wasn’t until he used marijuana in cigarette form that he began to experience real relief from his continued migraines, insomnia and depression. He was then lucky enough to find a private doctor that was willing to treat his TBI with medical cannabis. Yet Brennan still had a problem. He lives in North Carolina, a state that criminalizes marijuana use in any form. Brennan also suffered from PTSD. 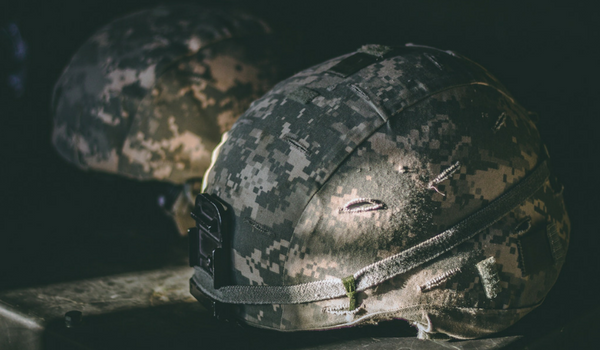 The rate of suicides among veterans of our wars in the Middle East is much higher than in the civilian population, and many can be traced to PTSD and TBI. Brennan documented his visit to a VA hospital after a suicide attempt in another editorial in 2013. The staff gave him a cocktail of drugs which made him foggy, sleepy and disoriented for 21 days. When he was released, he was not much better off than when he was admitted. Nor did his medication change. Veteran groups nationwide, including the American Legion, now advocate the use of medical marijuana to treat PTSD. Not only does marijuana help with nightmares, insomnia and physical pain, studies have shown it affects memory and can alleviate the intensity of traumatic flashbacks. There is some good news on the research front. As of April 2016, the DEA has approved a new study that focuses on how cannabis can relieve the symptoms of PTSD. The benefits of cannabis in pain management has gained traction in the public consciousness, thanks to Brennan and groups like the American Legion. We have more on our site if you’re interested in further information on medical marijuana and PTSD. And you can always sign up for our email newsletter on our homepage. You can also check out our Facebook page and follow to stay updated on Pittsburgh medical marijuana. We’d be happy to answer any questions you or a loved one might have.